It’s a popular saying and loosely defined as life is so unfair that a person is more likely to get into some sort of trouble than be rewarded if they attempt to do a good deed. That might be what Jay Dobyns has on his mind these days. Who is Dobyns? 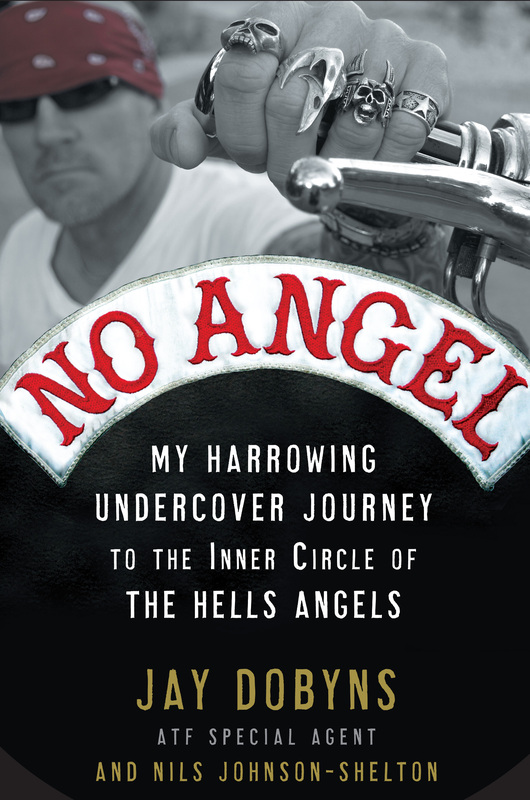 I posted an article previously on his soon to be released tell all book “No Angel” which detailed his years working undercover as an ATF Special Agent who penetrated the Hells Angels Motorcycle Club (HAMC). Dobyns was the lead agent in Operation Black Biscuit which resulted in the gathering of 1,600 pieces of evidence, the seizure of 650 guns, more than 100 explosive items including grenades, napalm and 30,000 rounds of ammunition. Fifty people were indicted as a result of the undercover sting. In Arizona alone, the government assembled 800 hours of bugged conversations, 92,000 phone calls and 8,500 seized documents in an effort to prove that the HAMC is a criminal enterprise. Dobyns received a top cop award by the National Association of Police Organizations. CNN has a video snippet with more information HERE and HERE. The news is the Arizona Republic is now reporting that Dobyns is suing the ATF for failing to protect his family from various death threats. The dispute and subsequent filing of a $4.5M claim against the ATF seems to be supported by an Inspector General’s finding late last year that the ATF has a pattern of agent neglect and failed to provide security or fully investigate a series of threats against Dobyns and his family. If these facts hold up it’s a sad testimony on the ATF as he put a lot on the line and deserves better! On his own dime Dobyns has moved himself and family several times to elude people who’ve threatened to kill him or harm his family. He filed a claim with the ATF for the emotional stress and financial burden he’s endured. It would be easy to speculate that when the press spotlight faded on “Biscuit” the ATF somehow didn’t have the motivation, funds or struggled to deal with the complexity of undercover work and how to best manage agents when they’re back in the LE world. However in 2004 the agency received indefinite annual funding for the establishment of the Violent Crime Impact Team (VCIT) which was designed to reduce homicides and other firearm-related violent crimes in 20 cities. In 2006, the VCIT/ATF received $20M to identify, target and arrest the “worst-of-the-worst” offenders. Is funding really an issue? I’ll follow the Dobyns situation and provide updates as appropriate. Photo courtesy Jay Dobyns and AZ Republic.